Delhi students never lack vigour. Every year they prove that the organizers’ worries about getting good footfall to their exhibitions are nothing but futile. Their enthusiasm is commendable, more so in the sweltering summers of Delhi. In fact, it’s astounding to see them pouring in even before time. This time I had the opportunity to welcome them at Afairs Admissions Fair 2016. It was sheer pleasure to observe these youthful faces coming in groups. Aspiring minds with eyes puzzled – looking for the right career direction. Smilingly, we showed them the way towards not-so-conventional Registration Desks (as if rewarding them for being strong in the face of heat outside the hall). It was fulfilling to see the youngsters enjoying the (otherwise monotonous) process of filling their entry forms on tabs. They were helped out by the like-aged staff of Afairs & SmartEvents. The young visitors excitingly flashed their RFID cards against the NFC readers placed in the standees & proudly carried their digital data with them- hung in the branded lanyards. The visitors were then greeted to the Facebook Check-In counter where they were offered free chilled drinks on checking-in to the exhibition on their Facebook accounts. Their delighted faces were proof enough of their appreciation of the concept. After all, their experience was what mattered to our teams. Facebook Check-In App is a good way of generating a brand recall and reaching the audience similar to the visitors. And believe me, it does work! The Talking Wall was yet a step ahead to make the visitors feel special. It was integrated with the RFID solution & welcomed each student on big LED screens. The experience was sustained inside the exhibition. The visitors did not have to share their information on each stall they found interesting. 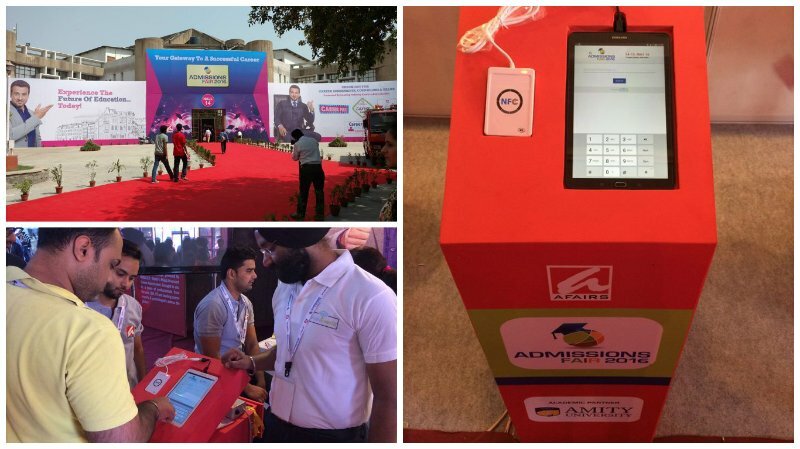 Instead, they used their RFID cards to communicate with the Android-based App in the exhibitors’ devices. No queues, no hassles & what an experience! The SmartEvents team supported the event for 2 days, not just as Technology Partners but also as the team for On-the-Spot-Innovation. Live pictures, videos & happenings of the events were shared across all social media channels, not to forget the LIVE telecast of Career Sessions taken by experts on the Afairs Fanpage. 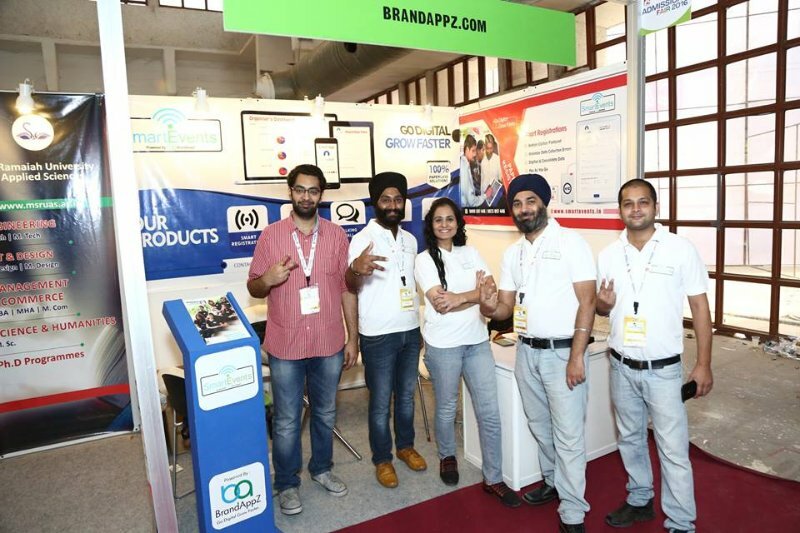 SmartEvents is an event vertical of BrandAppZ, a technology company operational since 2009. The objective is to sync our technology with our Prime Minister’s vision of Digital India (-now the dream of every Indian). We provide paperless solutions for events that benefit the end users, organizers, marketers and the environment. Where the visitors of exhibitions & participants of conferences get an enriching experience, the digital data brings to light various insights for organizers & marketers.